I haven’t posted much lately as the 24/7 work to shut down the Dark Secret Government and their timeline that has controlled this planet, and assisting the Shift into the light, and all those working toward that end, I have had little energy left to devote to my blogs. Also, for months I was under such intense attack by the dark, and in so much pain and distress, that doing the out of body work I do and sessions with John, along with my daily work at the house I”m staying in, was taking all of my energy. I’ve been running on empty for quite awhile. I’m grateful for the spiritual energy that keeps me going, my devotion to this work that wakes me up in the morning, and the light team that keeps me alive, safe and able to do the work. Yesterday, a woman asked John about the Sound Keys and he passed the question on to me. In the process of explaining them further to her, I was guided to include and expand upon my answers in a blog post. I opened a new Sound Key, somehow placed by Source and stored in my Heart Chakra, from Dec. 1, 2016 to March 2, 2017. We were told that the Sound Keys would continue to be opened until the Shift into the light had happened. When I opened the last one, a very subtle one that called itself “Completion”, I felt underneath it to see if there were anymore there, and the space was empty. We were later told that the Shift into the Light has happened at the level of Energy. How long it takes for it to make itself into the physical is unknown, but it doesn’t feel far away. Before discussing the Sound Keys, I’d like to share some background first. I am familiar with Sound therapy, using music to assist in healing, toning into a part of someone’s body, the various healing vibrations initiated by the ancient solfeggio’s vibrations. I did train in using sound, vocalizing and directing sounds into a body but since I do my spiritual healing differently, and just “move” into a person’s body to take something out or put something in, direct something in, I seem to work silently when I do that kind of work. Music has been my main love all my life, since early childhood. I was aware of other lifetimes since age 2 or 3, and have memories of playing and composing music professionally and as a healer with Pythagoras, and other lifetimes musical and non-musical. I have practiced holistic and spiritual healing work professionally since 1978. One of the therapies I do is called Spiritual Response therapy, and in it, the originator talked of various councils that exist to create the music, language, etc. for each new universe as well as councils of scribes for these councils. I found out that I am the head of the music council that creates music for each new universe. Around 2011 or 2012, a psychic told me I would be healing people and countries with inaudible sounds. That didn’t make sense to me at the time. Several months later, I was doing reflexology on a client and was told psychically that I needed to put a G note into the point I was working on. Inside my head, I asked if I needed to sing the note, and got NO. I then asked if I needed to know what octave it was and again was told NO. So, I asked that the note be placed into the reflexology spot as well as the organ/gland that it related to. I often would hold sore spots and just channel energy in, so this was a new addition. I found that it took the pain away on the reflexology spot and on the place it referred to in the body. As time went on with me using this, I found that sometimes it would be just one note, sometimes 2, sometimes a chord, a scale and even a melody or song at times. Sometimes a color needed to be added. This inaudible sound intervention always yielded tangible results in the client I was working with, too, so that provided validation of its effectiveness. Sometimes I would send notes to countries or situations of crisis as well. Of course I have no way of knowing whether they made a difference in those situations or not. Fast Forward to late Nov. 2016 and John received the info that I had Sound Keys to open. So I asked for more details. My guidance told me that again they wouldn’t be audible, that I’d open one each day and they would all continue to work together until they were no longer needed. I always opened them within a created sacred circle, for protection. The dark attacked me viciously for quite awhile as they knew the power of these, so they tried to kill me but I had good protection. I’d end up in pain often, but alive. I’d open the door to each sound key, then unlock the sound key and feel for its energy and purpose. Sometimes they were quite intense, sometimes subtle, sometimes aggressive, sometimes more gentle. I could feel each one. I’d send it down into Gaia, then up through my body and grounding cord to Source, then throughout my body and energy field, then on to surround and fill all the people we are working with, humanity, etc. They were set up to bring love, healing, light, assistance with assimilating and processing all the internal and external changes taking place within us and the world, foundation building for the New world to come, protection and shielding, and then there were components of their work that was a weapon and antidote to the dark. They were all very powerful in their own rights. One day one might come in the form of a raging bull, the next day it might be a rainbow and pot of gold. 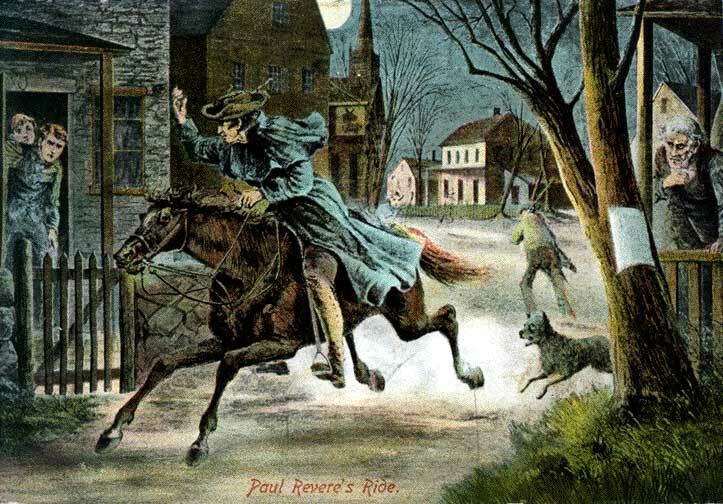 They varied daily….. a puppy, a whole bunch of running joyous puppies, the above referenced Paul Revere – to announce the Shift, a snowflake, a soft mist of pink, fog, a yellow rose, a dog whistle, a slew of rainbow colored polka dots, an arrow, Cupid’s arrow, each day different than the day before. Sometimes they were a sound. Sound is just vibration and the message carried in that vibration, so these sound keys all had a different vibration that showed up in various forms. Sometimes I opened them in my solo sacred session, sometimes within the shared sacred circle of the sessions with John. John channeled information each day to further deliver the details of their purpose and message. They helped us understand more what was going on, too, as far as shutting down the Secret govt., helping the shift into the light team, and all the other processes going on as we move toward the shift into the light. Sometimes they connected more to issues that had developed in my body from the dark’s attacks, and sometimes they were more connected to where things were at with the rounding up of the dark process and the Shift into the light, giving us clues as to interventions we could interject in our sessions to help those working toward these objectives. I hope that this helps explain the Sound Keys more for you. It was a privilege to assist in bringing forth this gift to humanity and the weapons and antidotes to help in shutting down the dark machinery that has kept this planet enslaved. The Sound Keys continue to do their work and will certainly continue until the Shift into the light is complete and may continue beyond then, too. We are coming to the end of this part of our transition into the light. Since I have been working to shut down the dark and bring it back to the light since the beginning of its creation millions of years ago, I’m ready to see this finished, our planet and humanity freed, and looking forward to helping the planet and humanity in other ways in the future. Please take care of yourselves during this transition, be gentle and tender with your changing bodies and minds, and be at peace knowing we will soon all be free.